The Backstreet Boys and New Kids on the Block are joining forces to revive our love for boybands. 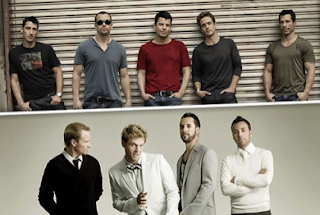 In what The A List pegged "the ultimate boy band pairing," Brian, AJ, Howie, Nick, Donnie, Joey, Jordan, Jonathan and Danny officially announced a summer 2011 tour. With no scheduled Canadian stops, us north of the border girls will have to make the trek to see our tween loves. Who's with me? I am so down! ROAD TRIP!! !